As they did for most members of the generation of American and Canadian opera lovers that came up in the 1950s, the Metropolitan Opera’s Saturday matinee broadcasts nourished and nurtured my fascination with and burgeoning devotion to the lyric theater to a degree beyond the power of words to convey. Through the broadcasts I came to know, recognize, and admire the great, the excellent-but-not-quite-great, and even the not-so-excellent singers of the era, to know whose recordings to buy (and whose not to!) with my hoarded allowance money, and to anticipate the next appearance of each favorite artist. These people became heroes and heroines in my life, thrilling, moving, and inspiring me to want one day to do what they did. The unique attributes each demonstrated in the (mainly) standard repertory—which I also learned to know thoroughly through the same auspices —helped form my taste and understanding. Despite the embarrassment of aural riches, there were only two voices I actually fell in love with, however. The great Zinka’s was the first, of course, and Lucine Amara’s the second. The Amara sound as first encountered was round, free, limpid, clear, flexible, youthful in the extreme, and had an incredible spin on it. The soprano maintained these characteristics longer than just about any other singer I’ve ever heard or known anything about. No wonder Rudolf Bing cast her as the Celestial Voice in Don Carlo, the inaugural production of his regime as general manager of the Met. More than half a century went by between the time, a few years later, when Bing famously paced about backstage at a Met tour Bohème in Boston exclaiming, of his young Armenian-American Mimì, “She is singing like an angel! An angel!” and the month of February 2007, when New York City Center’s Encores! “Great American Musicals in Concert” series featured Follies as its 40th production in a sold-out semi-staged version that ran for six performances. Though the cast included Broadway veterans Donna Murphy, Victoria Clark, Victor Garber, Michael McGrath, Christine Baranski, Jo Anne Worley, and Philip Bosco, with Eric Stern as music director (Stephen Sondheim’s full original instrumentation was utilized), it was Lucine’s appearance as Heidi Schiller that was the true coup of the production. Sir Rudolf would likely still have found the way she sang “One More Kiss” just a month before her 82nd birthday “angelic.” It was indeed nearly a miracle, and was reported as such in Opera News. The venue of our first real conversation—though not of the first time I ever showed up to express gratitude for the pleasure her singing gave—was the same Boston backstage area once paced by the ecstatic Sir Rudolf. I was a grad student at the New England Conservatory and on this occasion, Lucine had just been the splendid Nedda in a Met tour performance of Pagliacci. NEC was in financial trouble at the time, and she noticed my “Save the Conservatory” button at once. After an animated exchange on the subject of a music school education, she very kindly asked to wear the button to the post-performance reception—“Perhaps it will help promote the cause with the local sponsors [of the Met tour stand] here,” she said—and I had the honor of pinning it to her dress. In forty years, there has only been one rocky moment in our friendship. This was early on, in an instance when I proved to be too smart for my own good. 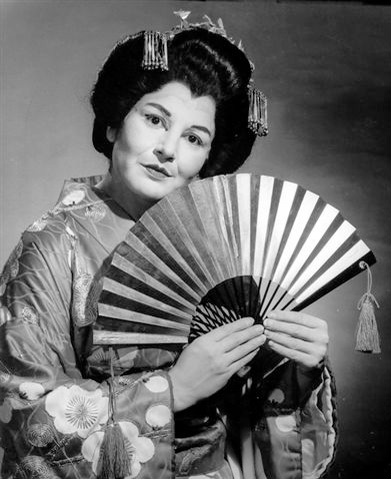 In February 1974, when the Met management (that is, Schuyler Chapin) succumbed to pressure from Montserrat Caballé and her manager-brother, Carlos, to let the Spanish diva sing Mimì on a broadcast—which required that the scheduled Lucine, who was in splendid voice and health, be summarily replaced at the very last minute—feelings about such treatment of so loyal and stalwart a Met family member ran high. Amara friends and fans were writing letters expressing anger and outrage (one of Bobbi’s students actually sent a missive that was riddled with obscenities) to Chapin, various members of the Met board of directors, Henry Lauterstein (the company’s lawyer), and Frank Merkling, editor of Opera News. The magazine had published a delightful interview with Lucine in the Bohème broadcast issue, something that turned out to be exceptionally awkward under the circumstances. Being distantly acquainted with Frank as well as knowing from past experience that he downright loathed fans writing to him about his coverage (or lack thereof) of favorite artists—I’ll always have the feeling that I was the reason he didn’t properly celebrate Zinka’s twenty-fifth Met anniversary in the pages of Opera News—I realized that he would ignore every such communication. I therefore contrived to compose a complaint based upon an absolutely false premise: “Though Miss Amara is not one of my favorite singers, nor has she ever been,” I wrote, lying through my teeth, and then launched my complaint against the kind of system that would allow what had happened to happen. Sure enough, I knew my man: mine was one of only two letters that Frank published in the magazine (well, a part of the letter, anyway, fortunately not including the dishonest disclaimer). Chrissie and I can both attest to the fact that the lady was generous to a fault to young musicians. During one of my earliest and roughest artistic years in New York, she kindly lent me money, having no way but her estimation of my character to know that repayment was certain. She and Bobbi dog-sat my little canine companion Beppe (“Bruce’s Westside Arlecchino”) for fourteen hours one day when the exterminators were coming to my apartment building and I was unable to be home at any point to supervise the comings and goings and keep the tiny guy away from the toxic substances. When Chrissie decided to leave the Met to strike out for stardom in Europe, Lucine thought a fur coat ought to be part of her image, regardless of immediate fiscal realities, so she just went into her closet and presented la Weidinger with “an old one” that “she didn’t need anymore.” There were other concrete aspects to her assistance, too, but these should be left to Chrissie’s own memoirs. Lucine, always an independent woman, didn’t particularly care to be carted about in a limousine like a hothouse plant (or a temperamental, demanding diva). No, she preferred to rent a car and get behind the wheel herself to drive to out-of-town engagements that were close enough to get to in a couple hours or less. In that fashion, we went to recitals and concerts in New Jersey and Connecticut and had jolly great times. (She was as good a driver as she was a soprano, or in the words of my father, who came from an era when this was considered a compliment, “She drove like a man.”) Myriad adventures resulted, too, such as the time we were coming back from Jersey in the wee small hours (the post-recital visit to her beloved friend Evelyn Lilienfeld had lasted well long) and a drunken driver on the turnpike couldn’t merge properly and ploughed right into the side of the rented vehicle as we passed by the onramp. A trial and court appearances in the Garden State were the eventual result, but I’ll never forget how, the moment she got the car pulled to the shoulder of the pike, Lucine opened her door, wrapped her fur tight around herself (it was the dead of winter, and thank goodness the recital was over, not upcoming!) and stormed back to the other car, which had pulled over behind us. “Ah wouldn’t lahk to be that guy, uh uh!” said Bobbi, and then called after her, “Wrap yoh scarf around yoh throat and don’t yell!” When I made a move to go after her, thinking a man ought to be present as backup in this encounter, Bobbi said, “Ah’d stay right out of it if ah were you.” Feeling very ungallant, I remained in the car. The highway patrol took quite a while getting there (no cell phones then for an instant report—it was passing drivers who had to call in what they had seen when they could manage), during which time the prima donna, out in the cold, really gave it to the miscreant. He, in turn, tried to convince the tardy law officers that it was she who was intoxicated and at fault. I’m sure he and his passenger(s) have never forgotten the dressing down that resulted from that bit of poor judgment! Also worthy of fond memory is the funky Hungarian restaurant in Stamford where the goulash was so succulent and juicy we three had to put our napkins up under our chins like bibs or risk returning home with our clothes covered in brown spots. Yet not all Amaradventures involved a car trip. For instance, at home in Manhattan there was the Thanksgiving to which Lucine gave her dawn-to-dusk all, serving up a buffet feast for a score of friends (and Bobbi’s parents, visiting from Atlanta), then going down to the Met for the minor matter of singing Liù in Turandot that night! After the performance, when we were packing up the floral tributes to carry to Evelyn L’s station wagon for the trip back to the apartment at the corner of West End Avenue and West 72nd Street, Lucine took me aside: “I don’t know what’s the matter with me. Liù is an easy part, I can sing her in my sleep. I always feel like I can turn right around and sing her all over again. I just can’t figure out why tonight I’m so darned tired.” (!!) I, merely a dinner guest and audience member, was worn out as well, and cannot imagine how she managed the day. The codicil to making it “seem too easy” was that she thereby made it too easy to be taken for granted. With awesome intestinal fortitude, she and Bobbi sued the Met for age discrimination in 1977. The company had offered her a contract she deemed to be demeaning when she was not only still in fine voice but producing a sound somewhat larger and richer than she had in earlier years, which wonderful performances of Tosca, Turandot (and I do mean the title role, in which she was terrific), and Elsa in Lohengrin (all left out of the list several paragraphs above in order to be more potent here) in particular proved. The mighty Metropolitan initially felt secure in its ability to prevail over a disgruntled, aging soprano, and in certain other quarters as well, her courage made her a pariah. I saw people she had known for years cross to the opposite side of the street rather than risk being seen speaking to her even for a moment. During this time she indeed learned who her friends were. Thank goodness, all those who mattered most stood by her and were present to rejoice when, after the suit was settled to her benefit (and the Met’s, though company spokesmen were for some time loath to admit that having her back was a boon), she returned to the Lincoln Center stage after almost three years’ absence as Amelia in Ballo in maschera. That was in 1981, and her Met farewell was not for another entire decade, a statistic that truly speaks for itself. 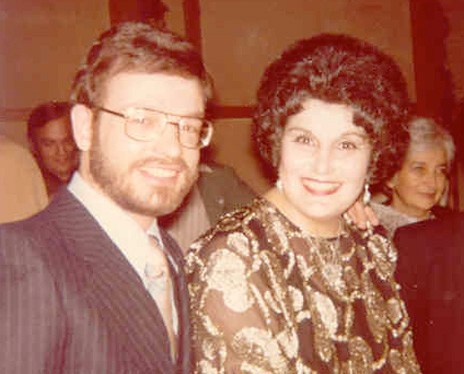 The Armenian community in Los Angeles is as devoted to her as that in New York has always been, and she has performed frequently on its behalf. Beloved cousins and old friends, me included, have brought her here on numerous occasions. When in town, she rents a car and comes for a visit. Once in the 1990s, when she was here for a recital appearance and I was still easily ambulatory, it came to pass that the only place we could wait before she went onstage (at the Wilshire Ebell Theater) was in the antechamber of the ladies’ room. I had to get up and walk out every single time a woman came in, though the actual facilities were around a corner and quite out of sight (and sound). Lucine and Bobbi would giggle and shrug their shoulders each time the door opened and a new lady would espy me, then suddenly gasp and turn back to check the sign, to be sure she hadn’t mistaken it and entered the wrong rest room. “He’ll wait outside,” they would explain, winking. Ah, I could write a book—nearly did so, in fact, if the 115 pages in The Opera Quarterly (Vol. 9, no. 1, Autumn 1992) entitled “Serene Lucine: The Celestial Voice” count. For accurate and intriguing information about this remarkable person and career, that’s the place to look. A great deal of what’s there is in her own words, it should be noted. 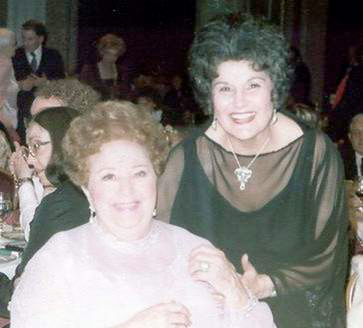 In her mid-eighties, Lucine is the successful artistic director of the New Jersey Association of Verismo Opera, for which she herself (as a lark and to draw in the public) sang Mamma Lucia in Cavalleria rusticana a few seasons ago. This former Santuzza didn’t like the experience, by the way—too hard to wait all those measures for one’s next little exclamation, she said. Leading roles were preferable. The other singers that night, despite their devotion to her, can’t have been thrilled that the critics noticed the oldest member of the cast still had the biggest, best-carrying voice of the lot. She continues to sing for fun and for causes, and has a happy life in New York City with her adopted daughter, soprano Evelyn La Quaif. She owns a wicked sense of humor and one can count on regular, delightfully ribald e-mails coming from her. “Evelyn says if I don’t live to be at least ninety, she’s going to kill me,” Lucine relates, laughing. I’m hoping she goes straight on to one hundred. I don’t want to do without her, either. (May, 2010).